The other day I speak the Chandrasekhar limit and will indicate the possible existence of special stars called quark star. As we know, fermions are the essence of the matter together with the forces that are bosons. So far it’s all simple. We know that electrons, neutrons and protons are formed by fermions with different spins. Perfect. Now, when a star collapses, gravity is the force that triumphs. If we know that there are several fundamental forces in nature: electromagnetic, gravity, strong (strong interaction, which binds protons and neutrons) and weak (which causes an atom loses electrons, radiation for example). Usually between all equal as good friends, although sometimes it any more weight against the rest. Example is when a star collapses is that gravity wins the battle. The issue is that when you win the battle, not winning everything, because the electromagnetic arrives, it gets cool and the matching process everything. But sometimes the electromagnetic (if enough mass) can do nothing and continued seriousness winning. When protons, neutrons and electrons are much squeezed between them, like the subway at rush hour, burst (see particle accelerator) and when it burst out from within, fermions. 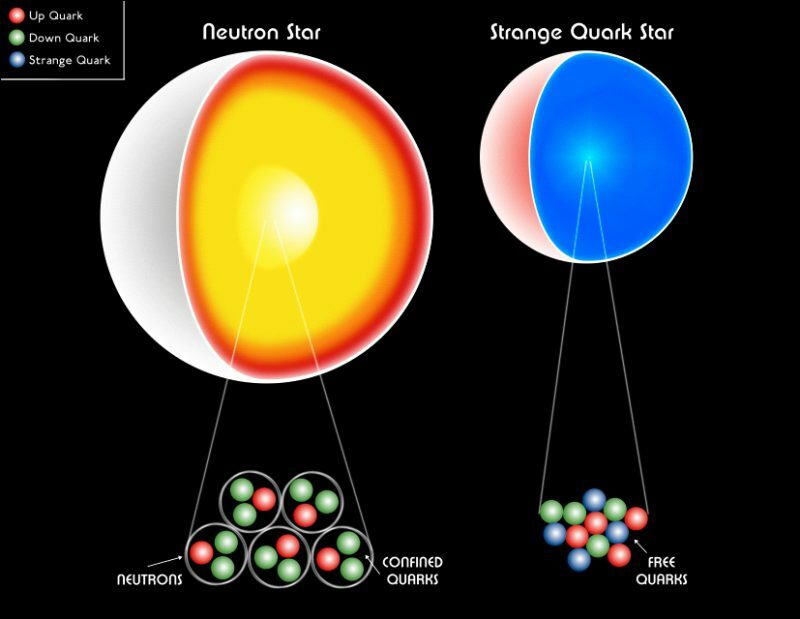 So theoretically, there is or there must be something worse than a black hole, a quark star. Luckily they are theoretical, it is not known, it is only mathematically possible although there are some candidates … but nothing conclusive so far.